One of the most beautiful cities of Madhya Pradesh in India, Gwalior is very famous for its marvellous palaces, old temples and the medieval fort. Being the birthplace of the great musician Tansen, the city is also highlighted for its majestic history and rich cultural heritage. Known as the fort city, the huge hill fort of Gwalior was earlier served as the seat of various northern Indian kingdoms. It is believed that the fort was described as the pearl amongst fortresses in India. This majestic hill that looks across the entire city, presents an enrapturing look to the scenic atmosphere of this exciting place. 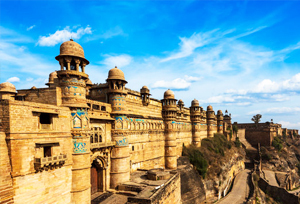 Founded by the king Surajesan, Gwalior has a majestic charm that speaks volumes of its magnificent past. Encircled by beautiful hills and greenery, it's a beautiful historic city where the most prominent royalty of India domiciliated. The royal charm of Gwalior is reflected through its striking architecture. 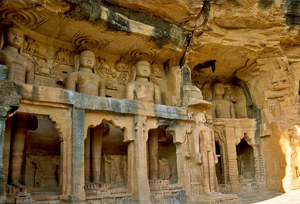 When it comes to famous tourist attractions, Gwalior has much to offer top its globetrotters. Some of the popular attractions in Gwalior like Suraj Kund, Phool Bagh, Hathi Pool, Jai Vilas Mahal and Man Mandir Palace are worth to visit. With embracing structures like sandstones mosque, rock temples and magnificent statues, Gwalior cares its majestic tradition of the yesteryear. Known as the city of music, Gwalior is one of the most erstwhile gharanas or schools of Hindustani classical music. Above all, tourists can enjoy the major cultural event which took place every year during winter to mark the memory of great musician 'Tansen'. Moreover, the city offers plenty of things to see and do for travel junkies. The beautiful Gwalior Fort, Man Mandir Palace, Gujari Mahal, Pratihara Vishnu Shrine and many more will keep you enchanted. All in all, a plenty of temples are also located here that flaunts everyone with its uniqueness and architecture. So come hither and explore the vista of Gwalior! In last few years, Gwalior has been developed into an educational centre where you may get prominent government and private universities/institutions like IIITM Gwalior, IITTM Gwalior, Jiwaji University, Raja ManSingh Tomar Music University, Scindia School, and J.C.Mill's School, Birlanagar. The city holds a unique repute in Sangeet(Music) and has maintained Indian traditions and the wealth of music integral over the years. Then next you can visit to Scindia School which lies within the fort. It’s a residential boy’s school founded by the former Maharaja of Gwalior over one hundred years ago. One of the popular castle in Gwalior which is named as Man Singh Palace, is also a must see attraction. Beautifully constructed in an imperial style, it’s totally worth to see the outer wall of the palace that has a frieze of yellow ducks and early Hindu architecture. The most interesting is the Son-et-lumiere show which is held every year in the palace. 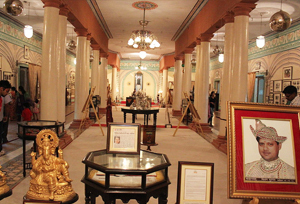 If you haven’t been to any museum of Gwalior then you should visit Jai Vilas Palace which has 400 rooms in which 40 rooms are changed into Jiwaji Rao Scindia Museum. There are two Belgian chandeliers at Durbar Hall that weighs 7 tonnes and believed to be one of the most enormous in the world. Enthral yourself by exploring the 15thcentury Gujari Mahal, which was built by Raja Man Singh for his beloved Mrignayani (Gujar Queen). Now it has turned into an archaeological museum with huge collection of exhibits dating back to the 1st century AD. There is a statue of tree goddess called ‘Shalbhanjika’, which is the main attraction of tourists. Puckered away in the winding lanes of the old town, there is the tomb of Mohammed Gaus where a plenty of tourists visit to pay tribute to the Tansen tomb. Above all, tourists may also explore several other tourist attractions in Gwalior like Surya Mandir (sun temple), Baija Taal cultural complex, museum of the freedom fighters, and Kala Vithika. Fairs and Festivals There are large numbers of fairs and festivals in Gwalior that are celebrated every year with pomp and gaiety. The most popular is Tansen Music Festival (November-December) in which the leading artists gather to pay tribute at Tansen's tomb (the great musician). Other festivals are Bhavbhuti Samaroh, Baba Hira Bhumia's Fair, Gwalior International Trade Fair, Krishna Rao Shankar Pandit Samaroh, Ramleela Festival, Diwali and Vishwakarma Puja. Where to Stay There are plenty of accommodation options in Gwalior which ranges from luxury resorts to the standard hotels. It has a couple of heritage hotels which are well furnished and equipped with modern amenities. Shopping in Gwalior is very exciting as there are many shops selling several items like wall hangings, lacquer ware, ornaments, handmade carpets, hand-woven sarees, etc. If you're looking for traditional handicrafts, then you may visit Laskar and Rajwara shopping areas where you can find a huge collection of handicrafts items to buy. Patankar Bazaar is also a good option to shop reasonably. If you need to explore more, then head towards the old shops near the Chowk in Bara House where you can not only buy Chanderi sarees and other traditional fabrics, but also wooden carvings and artefacts. One can also choose to buy jute crafts, dokra figurines, silverware, brassware and tribal wooden jewellery from Arihant Emporium. For brocade and chanderi silk sarees, you may visit to Safara Bazaar and close to it you'll get Topi Bazaar from where you can find a huge variety of leather products. By Air: Gwalior Airport is the nearest one which is located at the distance of 8 km from the city. By Rail: Gwalior Railway Station is the nearest station to reach the city. By Road: There are several tourist and private buses from Delhi (319 Km), Indore (169 km), and Jaipur (348 km), which are well connected to Gwalior. Best Time to Visit: October to March is the best time to visit here as the weather remains pleasant. A large number of tourists throng this place during this time.